A bold coffee table for bold individuals, the Bliss Coffee Table from Moe's Home Collection is a dazzling piece of furniture. 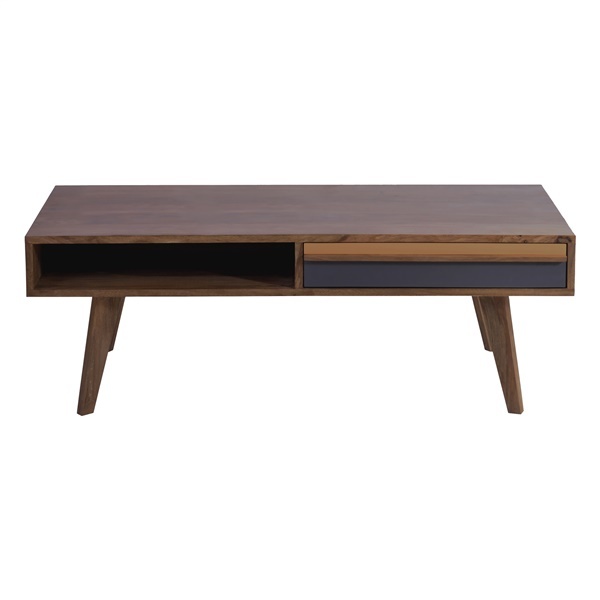 This coffee table combines modern design features with a chic, retro-inspired style to deliver a distinct piece for any room. The table also includes an open shelf on one side and a two-tone gray and orange drawer on the other side, giving you plenty of storage space. Utilize a coffee table that blends form and functionality perfectly -- the Bliss Coffee Table.